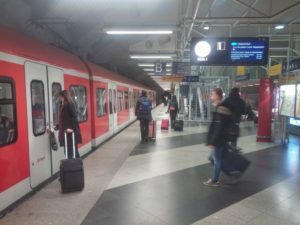 Re: Travel from Munich Airport to Hotel (City Center) 20 Dec 2010, 15:00 We will take the S1 or S8 train from Munich Airport and get off at the Main Train Station (Central Station).... The Lufthansa Express Bus is the nonstop connection from Munich Airport into the city centre and back again — and at 15 minute intervals. No matter which airline you fly with. Regular trains from Munich Airport serve the main train station (Hauptbahnhof) in central Munich. In addition, there are also metro trains and underground trains serving all parts of the city. Re: Munich Airport to City Centre 2 Mar. 2016, 9:04 am I realize you are asking specifically about the bus, but taking the S1 or S8 train to Marienplatz is quite easy and is more economical than taking a taxi. 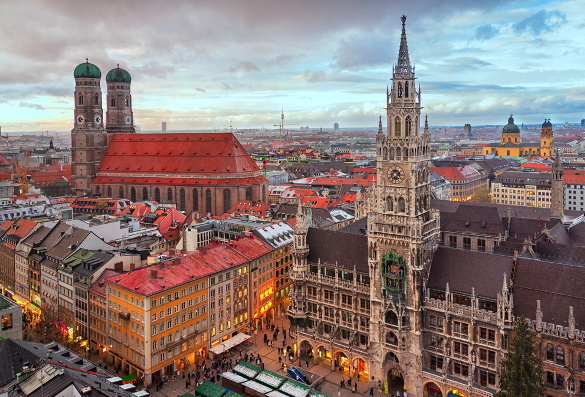 From Munich Airport you can easily reach Munich city centre by metro, by bus or by taxi. Metro line S1 and S8 operate from Munich Airport to Munich city centre on every 10-20 minutes. The service is not available from 01:00 to 04:00.